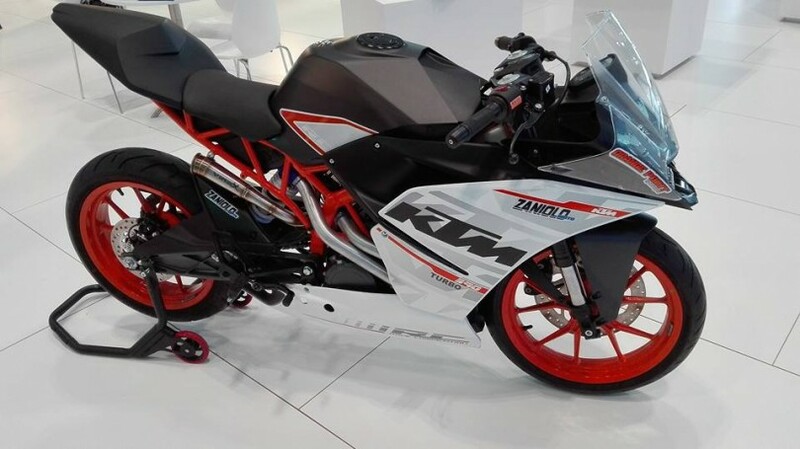 A few months after coming up with the 60 PS Yamaha R3 Turbo, the Italian outfit Performance Technology is showcasing a KTM RC390 Turbo at the ongoing Qatar Auto Show. Nicola Bragagnolo, founder of the tuning company, says that his latest project turned out to be as good as his previous one. The exact power output of the RC390 Turbo is not revealed yet but it should be in the vicinity of 60 PS with corresponding increase in the torque output. Nicola used the same IHI RHB31 (world’s smallest turocharger) that he used on the R3 to extract more performance form the KTM’s 373.2 cc single-cylinder liquid-cooled engine. In its natural state of tune, the engine generates 44 PS and 35 Nm of torque. Transmission is a 6-speed unit. Completing the performance upgrade are the twin custom exhausts and of course, a custom engine mapping to get the best out of forced induction. 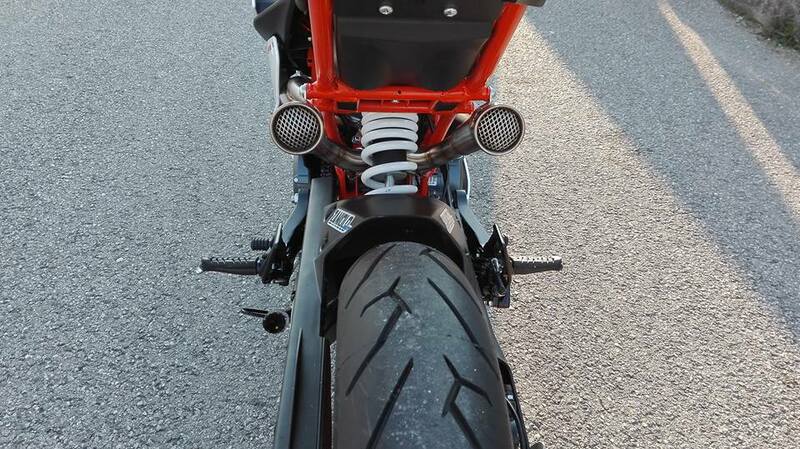 The RC390 is a properly fast compact sportsbike to start with. The upgrade is expected to put it the same territory as a Moto3 racing machine. Performance Technology’s aim is to create a market for affordable compact sportsbikes with high performance suitable for racing competition as well for regular use. As it turns out, Nicola is also working on a Kawasaki Ninja 300 Turbo which would be ready in a few months time.